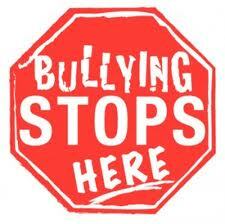 Unless we eliminate the anger in the hearts of those who bully, we will not eliminate bullying. 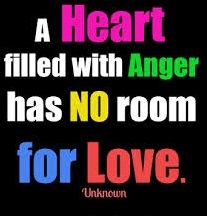 It is our contention that bullying starts from within, as anger, and comes out as displaced anger onto the victim. Our new Anti-Bullying Forgiveness Program targets this anger and then reduces it, thus reducing or eliminating the displaced anger which comes out as bullying. Suppose that each of us had a little red light on the top of our heads. Further suppose that whenever we are feeling beaten down by the injustice of another, that little red light started to blink. What do you think? Do you think there then would be mercy in the world as we, each of us, responded to the one whose light-of-pain was going off? We all kind of hide behind a veneer of civility—well dressed, well mannered….and sometimes dying even a little bit inside. No one sees the “dying even a little bit inside” because it is hidden. Others really do not want to see it……It is an inconvenience to see it. Yet, it is there…..for all of us at one time or another. That little blinking red light would be a sign to us that we are all hurting. It would be a concrete sign that mercy is necessary….even more so than civility. That little red light would be our teacher….and perhaps soften our hearts…..and help us to learn that offering mercy should be our first response, not our last one after we all dress up in our finery, with our impeccable manners…..that keep the hurting invisible to us. Try to see that little blinking red light on the top of each person’s head today even if it is not there. Try to see it anyway. What is the best way to become motivated to forgive? I need a little help in even starting because of all the hurt inside. Because forgiveness is a moral virtue, it is an expression of goodness toward other people (as is justice, kindness, and generosity). Yet, one’s initial motivation can be one’s own inner emotional healing. As long as you do not confuse what forgiveness **is** with this motivation, you should be fine. As you continue with the forgiveness process, you will begin, even if slowly, to see the humanity in the one who hurt you. We can get so annoyed so easily. A traffic jam….and we are annoyed. A colleague late for the meeting…..and we are annoyed. A spouse who is taking too long in the changing room at the clothing store…..and we are annoyed. Spend a little time with a homeless person and then ask yourself if the above three are big or minor annoyances. 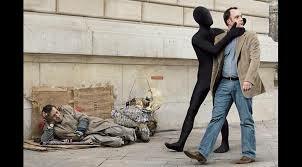 When I pass a homeless person, I can tell that he expects me to not see him. He thinks he is invisible. So amazing. He has nothing….no home…..and he thinks he is invisible to the rest of the world. Yet, he is rich because he has gratitude and love in his heart. He seems to have no resentment in his heart…..even when outside….without a home…..in the cold of an early winter……even while seeing that others do not see him. Note: We are filing this in the category of Famous People. The homeless are not invisible and we did not want this uncategorized post to become invisible. I hear the term “forgive and forget,” but I am unsure what the difference is between forgiving and forgetting. Can you shed some light on this? Thanks. First, let us consider the term “to forget.” It has at least two shades of meaning. First, it can mean this: to put the hurtful event behind one so that it is not always front-and-center, causing strife in a relationship that needs to be nurtured. Second, it can mean a kind of moral amnesia in which the forgiver fails to consider issues of justice and therefore is prone to being hurt again. When people “forgive and forget” they try to do the first and avoid the second meaning of the term “to forget.” When we forgive we not only put the hurtful event behind us but also we acknowledge the personhood in the one who was unfair to us. So, “to forget” centers on the hurtful event; “to forgive” centers on the person who acted in such a way as to create the hurtful event. 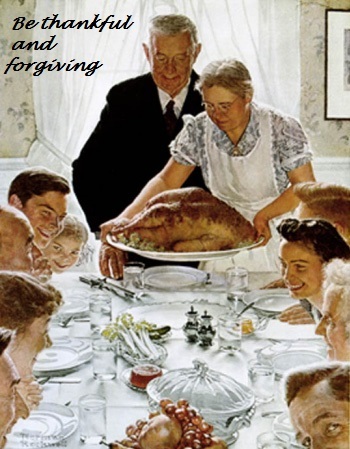 In the United States, Thanksgiving is celebrated annually on the fourth Thursday of November. It is a custom going back to the 17th century when immigrants and those native to this land celebrated together with a feast. The tradition has continued for about 300 years. Yesterday, while teaching a class on the psychology of forgiveness, I mentioned that next week the students likely will be getting together with family and extended family. Some of the students rolled their eyes, others groaned (as civilly as they could within a classroom setting, but the pain was obvious). So, how can we avoid the “family dreads,” the restless, uncomfortable feeling of being face-to-face once again with those who have caused hurt and toward whom there may be some resentment? 1. First, acknowledge the pain. Do not run from it. After all, pain is a speedy little thing and always seems to be right behind us no matter how hard we run. 2. Practice now to see the inherent worth in that person. That person has a built-in value even when behaving badly. All people are unique, special, and irreplaceable. Start realizing that now before you pass the mashed potatoes to him or her. 3. Stop the pattern of treating this person as if he or she were invisible. Make eye contact. Smile (after all, this is a person who is special, unique, and irreplaceable). You need not say a thing. The eye contact and smile may be a good start. And enjoy the journey that is life. That journey was never supposed to be pain-free. You can reduce the pain in you, and perhaps in the other, by recognizing the humanity in the other. They are not invisible to you. Show that you see them…and that they are special despite hurtful patterns in the past.